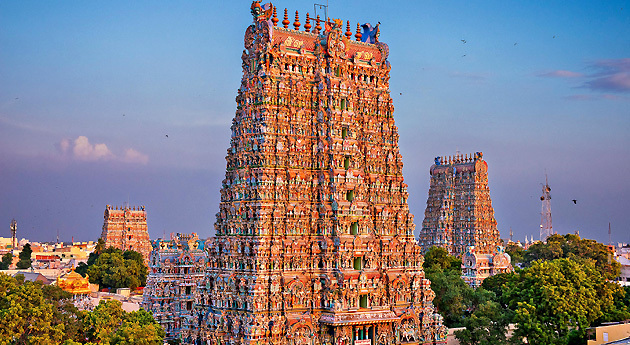 When it comes to temples in India, the southern region of the country boasts of being home to some of the most magnificent temples, which truly are a part of the country’s heritage. Standing impressively from ages, these places of worship, have breathtaking, grand architecture and carvings. The South India Temple Tour by Indianpilgrimtours.com offers you a chance to pay homage to some of the most popular temples in South India. 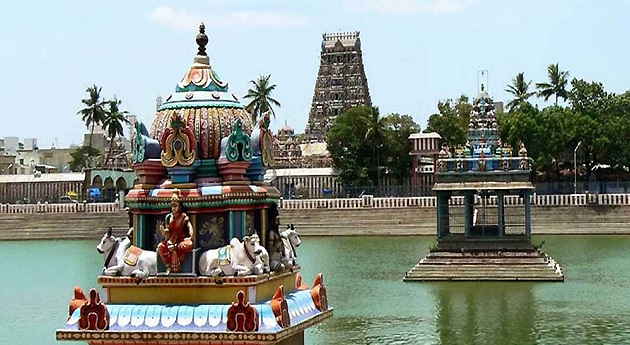 This meticulously-planned itinerary of 6 days and 5 nights for south India temples tour takes you to sacred places like Kanchipuram, Mahabalipuram, Tanjore, and Swamimalai. The package also includes city tour of Chennai and Pondicherry. 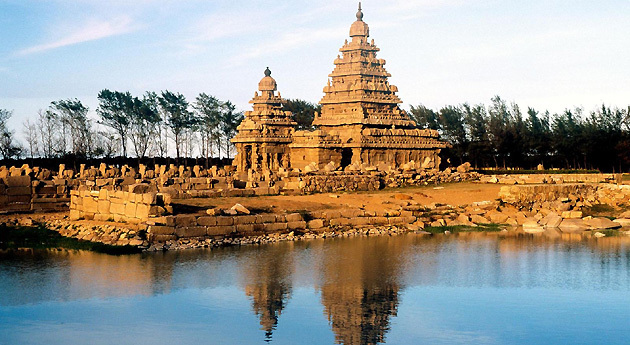 Kapaleeshwarr Temple, Kailasanthar temple, World heritage sites in Mahabalipuram, Swamimalai Murguan temple, and Brihadeeswarar temple are some of the popular visits of this tour. As you arrive at the Chennai airport, our tour representative helps you in getting transferred to the hotel. Complete the check-in formalities and have some rest. Later on, embark on a city tour. The prime tourist attractions in Chennai that you explore today are the Fort St. George – the first English fortress in India, St. Thomas Mount Church – a beautiful church built on a hillock, San Thome Cathedral - a 16th century Roman Catholic church made by Portuguese, Kapaleeshwarar Temple- one of the most prominent temples of Lord Shiva in Chennai, and the National Art Gallery. The evening is scheduled for a visit to the beautiful Marina beach. India's longest beach, it is an ideal place to savor the fun side of the city. Stay Overnight. On the 2nd day, leave by road for Mahabalipuram via. Kanchipuram. Halt at Kanchipuram for exploring some of its exotic temples such as the Kailasanthar Temple - the oldest structure of the city has Dravidian style of architecture, Ekambareshwarar Temple- also known as Ekambaranathar Temple, it is dedicated to Lord Shiva, Sri Vardharaja Perumal Temple – one of the Divya Desams of Lord Vishnu, and the Sakkiswarar Temple – a wonderful structure. Continue to drive towards Mahabalipuram. Upon arrival, check into the hotel. The rest of the day is at leisure. A 7thcentury former port city of the Pallava Kingdom, it is famous for its rock-cut shore temples, which are under UNESCO World Heritage Sites. The city is also known as Mamallapuram. Overnight stay in Mahabalipuram. Post breakfast, the morning is scheduled for a sightseeing tour of Mahabalipuram. The Shore temple- built in the 8thcentury, it is the earliest free-standing stone structure, the Five Rathas - carved in 7th century from a single large rock, these chariots are dedicated to Pandava brothers of Mahabharata, Arjuna's Penance – this giant relief carving is a great piece of work and the Tiger caves- dating back to the 8th century, this temple is also known as Yali- are some of the most popular attractions of Mahabalipuram that you explore today. Thereafter, start your road journey to Pondicherry. Complete the check-in formalities at the hotel as you reach. The rest of the day is for leisure activities. In the evening, take a walk till the local market of Pondicherry. After breakfast on day 4, get ready for Pondicherry city tour including the palm-fringed pristine beaches, and the fishing villages. Also known as Puducherry, this city was ruled by the French till 1954 and still carries the same charm. Visit Sri Aurobindo Ashram – a spiritual ashram that is a world in itself and Auroville – an experimental township that was established in 1968. Then, start driving to Swamimalai, a small religious town placed on the banks of a tributary of river Cauvery. On the way, halt to visit Chidambaram, and Gangaikonda Cholapuram – one of the Great living Chola temples, it is wonderful temple complex. Continue to Swamimalai. On arriving, check-in at the hotel. 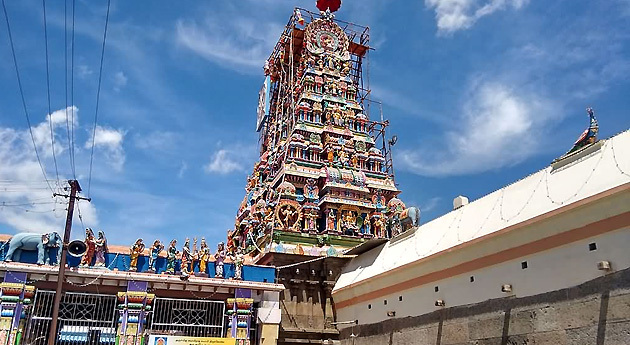 Visit the very popular Swamimalai Murugan Temple. This Hindu temple is one of the six holy shrines of Lord Murugan, the son of Lord Shiva. On day 5, have your breakfast and start your road journey to Tanjore. Famed as the 'City of temples', Tanjore has some famous temple including the Navagraha temples. On arriving, check-in at the hotel. Also known as Thanjavur, this place is known for its South Indian art, religion and architecture. On completing the check-in, set out on a guided city tour of Tanjore including important attractions such as the Vijayanagar Fort- majestic fort built by the Nayak rulers in 1550 AD, Siva Ganga Garden- a recreational park, Alangudi temple or Aabathsahayeswarar temple- a temple dedicated to Lord Shiva, Brihadeswarar temple- one of the most popular temples of Lord Shiva in Tamil Nadu and the Chandra Bhgawan Temple – a holy place where Moon God is worshipped along with Shiva. Post breakfast, get transferred to the Madurai airport to go aboard a flight for your onward destination.